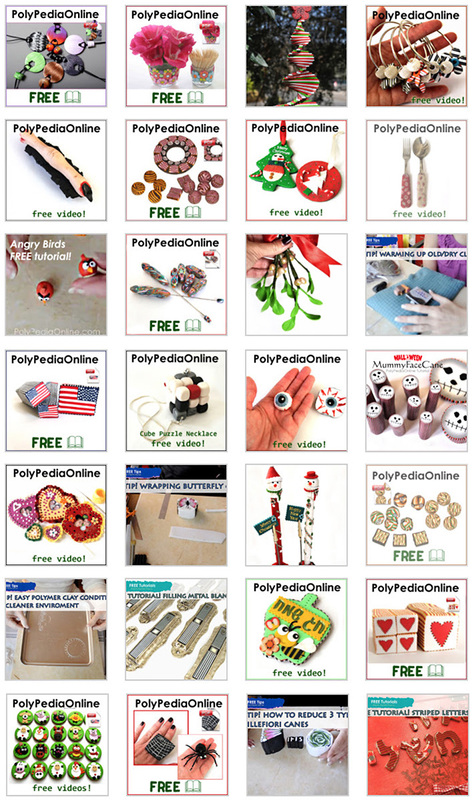 with more than 160+ Polymer Clay Tutorials in PDF and Videos! GET ACCESS TO +30 FREE POLYMER CLAY TUTORIALS! Learn a new polymer clay technique TODAY! Dozens of polymer clay millefiori canes tutorials both on videos and PDF format. Flowers, Kaleidoscopes, Butteflies and more! Polymer clay faux ceramic techniques - a BEST SELLER! 18+ projects for using clay to imitate ceramics. Polymer Clay brooches and pins techniques! Liquid clay, hollow forms, powders, paints, chalk pastels and more! Polymer clay as a mix media 3D material to create zippered bags and purses for a unique design! BEST SELLER! KIT included! Endless designs for earrings both in shape or surface techniques - Flat or rounded, large or small - all included! 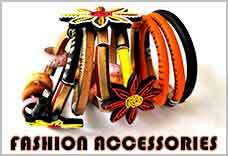 Polymer clay as a perfect material to create fashion accessories for a unique design! BEST SELLING PROJECTS! Polymer clay as your home decor material! Lots of ideas and beautiful designs! Christmas HOLIDAY polymer clay ideas! Flowers, hangers, home decor all in 1 place! Decorate your appearance with beautiful polymer clay hair accessories - Pins, head pieces, crowns and tiaras, hair clips and more! Liquid clay is not just an adhesive! 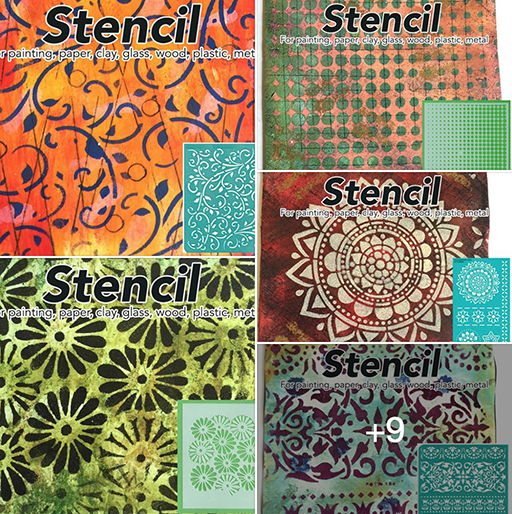 Use this wonderful medium as a great addition to your polymer clay designs. 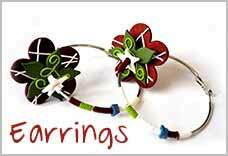 Endless beads designs using polymer clay - Flat or rounded, large or small - all included! Mix polymer clay and micro macrame knotting for an enchanting jewelry designing! 25+ polymer-macrame projects from beginners to advanced! Mosquito technique uses metal mesh as a base for strong polymer clay jewelry. A unique technique for a fun expriment! Learn how to create interesting hollow forms using polymer clay! Bold or dainty, painted or extruded, learn how to create unique polymer clay rings! Inked or faux ceramic, round or square, large or small - all polymer clay pendants tutorial in 1 place! The most basic and useful design in polymer clay designing - Bic pen covered with polymer clay sheets! Polymer clay as your home and office decor! Lots of ideas and beautiful designs! Easy and beginner projects to use polymer clay to create cute and adorable charms and beads! Polymer clay as your wall decor! Lots of ideas and beautiful designs! Polymer clay as a mix media 3D material to create unique designs! 26+ Polymer clay life-like flower tutorial with our "Flower Academy" master class. BEST SELLER! Kit included PLUS all videos on CD. 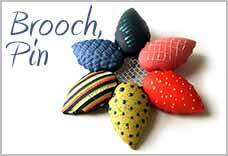 My name is Iris Mishly, a polymer clay & macrame artist living in Israel. Coincidence led me to discover polymer clay back in 2004, I took one basic millefiori class and was instantly hooked. Where does my story begin?